The 82nd Port Huron to Mackinac Race, which gets underway Saturday, will include more than 250 boats and 3,000 sailors. It's an important race within the sailing community, and attracts participants from as far away as Europe. DETROIT, July 10 /PRNewswire/ -- Ahee Jewelers of Grosse Pointe Woods today announced the company's support of the 2006 Bacardi Bayview Mackinac Race by offering four first prizes, one to each of the four overall division winners finishing the historic 82nd consecutive sail from Port Huron to Mackinac Island. Starting today on WDIV-TV, Local 4, reporter Paula Tutman takes to Lake Huron for a series of reports that chronicle the history, preparation and lore surrounding the annual Port Huron to Mackinac sailboat race. Tom Clemons has enjoyed the best of two sailing worlds for the past six years. The Marine City resident spends his summers sailing on Lake Huron and his winters touring the coast of South America. Clemons will be aboard Loon Magic on Saturday for the 81st sailing of the Port Huron-to-Mackinac Island Sailboat Race. Colin Booth has sailed all around the world. South Africa, check. Britain, check. France, check. Fiji, check.Now, Booth, a native of New Zealand and captain of the 52-foot Glucklich, is bringing his 35 years of boat-racing experience to Port Huron. Why did he choose to add the Port Huron-to-Mackinac Island Sailboat Race to the ever-growing list of races he's sailed? "The (boat's) owners (Jim Mitchell and Bryon Ehrhart) are very passionate about this race," Booth said shortly after docking Glucklich in the Black River in Port Huron. "They said it can have a little bit of everything." When heading to downtown Port Huron to view this year's boats participating in the Port Huron-to-Mackinac Island Sailboat Race, it's better to walk than to drive. Eyes around the world will turn to Michigan on Saturday when as many as 250 boats and 2,500 sailors set off in the 82nd annual Port Huron to Mackinac race -- among the world's longest fresh-water races with one of the largest fleets on the international circuit. 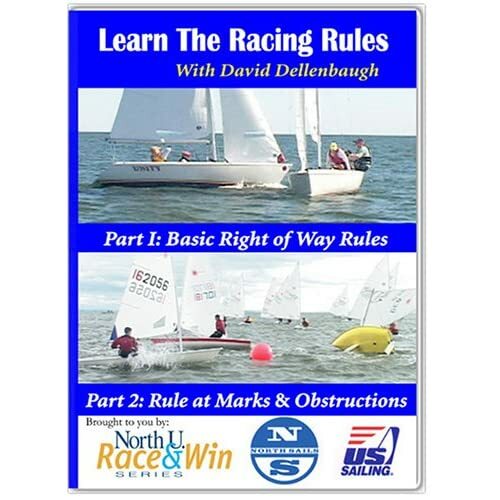 SEA-TV Productions along with rules expert, David Dellenbaugh, the on-screen host and narrator, have designed this DVD set to make it easier to learn the international yacht racing rules.